Stewart Tubular Products is in the business of producing premium downhole tubular accessories that meet or exceed our customers’ quality and reliability requirements, including the appropriate API requirements. It is our intent to provide a level of quality and service to our customers that demonstrates to them that Stewart Tubular Products is a superior source of goods and services relative to alternative sources in our industry. We intend to do this in an environmentally responsible way and to operate with respect for the health and safety of our employees, employing safe industry practices. Our internal programs establish and provide for the review of key safety, quality and operational objectives. To achieve this, the management and all of the employees at Stewart Tubular Products are committed to working with our customers, our suppliers, and our co-workers to ensure respect for our environment, to create and maintain a safe workplace, and to deliver our products and services in a timely manner at the highest available levels of quality. Our goal is to be considered one of the premier suppliers of premium downhole tubular accessories to the oil and gas industry by striving every day to continually improve our products and services. 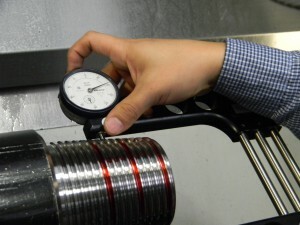 Our QC inspectors use the latest gages for thread inspection. 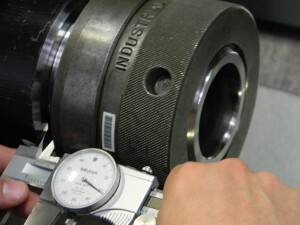 Both MRP and hard gauges are utilized for thread inspection.